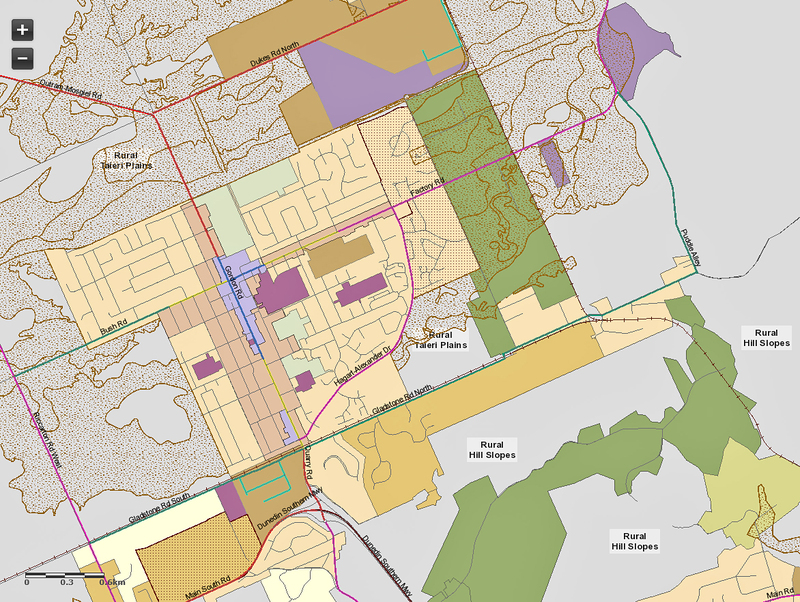 Updated post Sat, 21 Mar 2015 at 11:55 p.m.
Brian Miller makes further comment, see below. More photographs. Fri, 20 Mar 2015 at 4:29 p.m.
VANDALISM —Nothing else goes near describing what is in this photo. Let me start from the start. Otago 150th Anniversary plantings scraped away at Gladstone Rd. 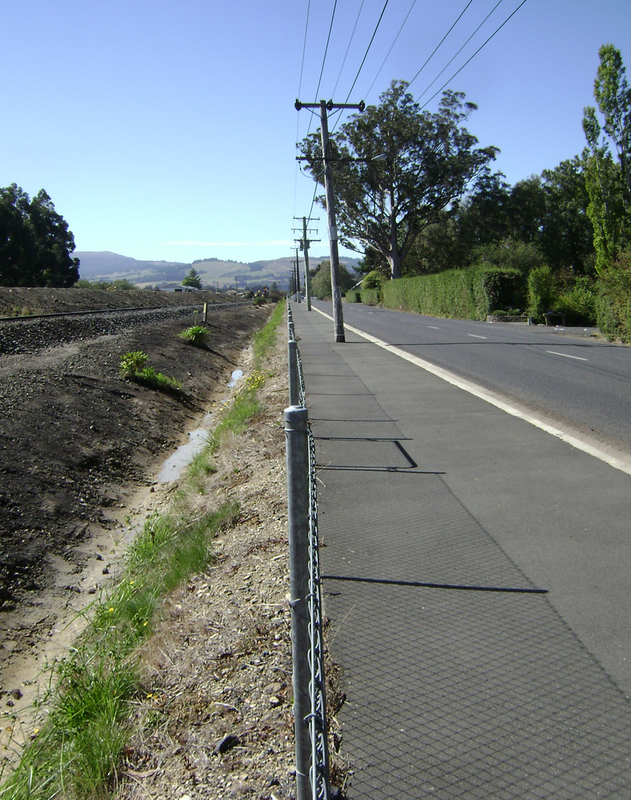 As a Mosgiel-Taieri Community Board member I accepted the challenge of beautifying the railway corridor from Wingatui to Riccarton Road along a four-kilometre length of Gladstone Road. No other board member wanted anything to do with it, until I had it organised ready to go. They said. “It couldn’t be done.” Just the incentive I needed. I had to make sure that all the boxes were ticked, before Tranz Rail would let the project begin. With that done, Board members fell over themselves to get involved. Thousands of hours of voluntary labour went into the project. Alex Griffin and his Taskforce Green did most of the hard work. The local community donated the use of trucks and other equipment, while Lester Harvey ferreted out the thousands of shrubs. We turned what was an eyesore entry into Mosgiel into what it is today. A more welcoming entry. Unfortunately, the story does not end there. As I said earlier we met all Tranz Rail’s requirements when we did our planting. 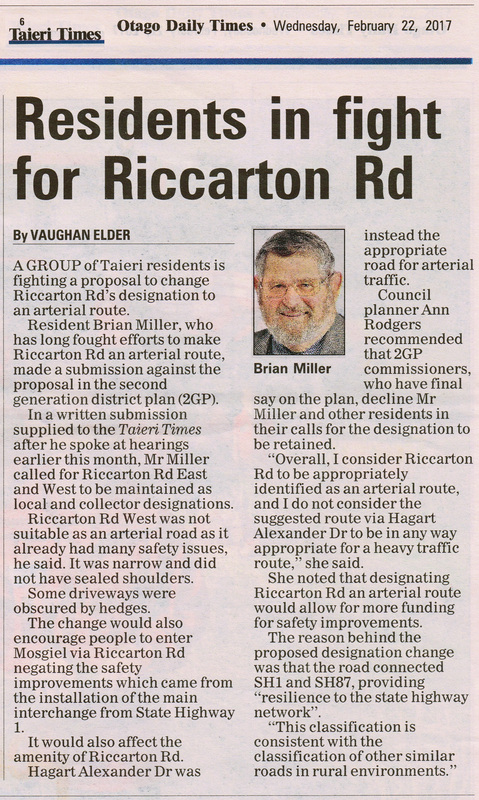 Just imagine how I felt this morning when I travelled along the section from Riccarton Road towards the industrial area, and the destruction of the thousands of hours of voluntary labour and gifted plants that had been ripped out. Total destruction of this section of the project. It appears to be at the orders of KiwiRail. The photo tells the story I really don’t have to say much more. 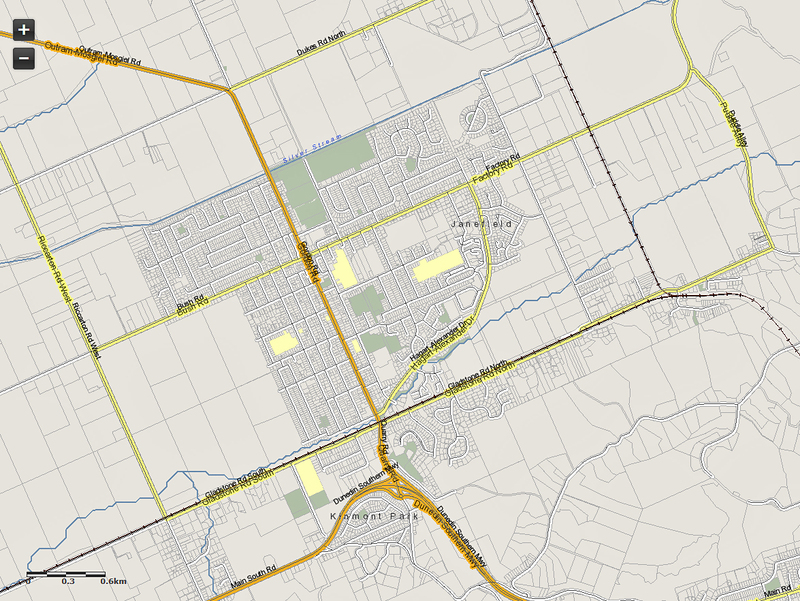 I wonder how those Task Force Green workers and other unemployed workers feel to see what they had contributed to the Mosgiel community, in part, being ripped up. KiwiRail weren’t the first to vandalise this project, the Dunedin City Council had first crack and destroyed over half of this area by putting in the footpath that you can see in the photo. When they could have quite easily put the footpath on the other side of the road. 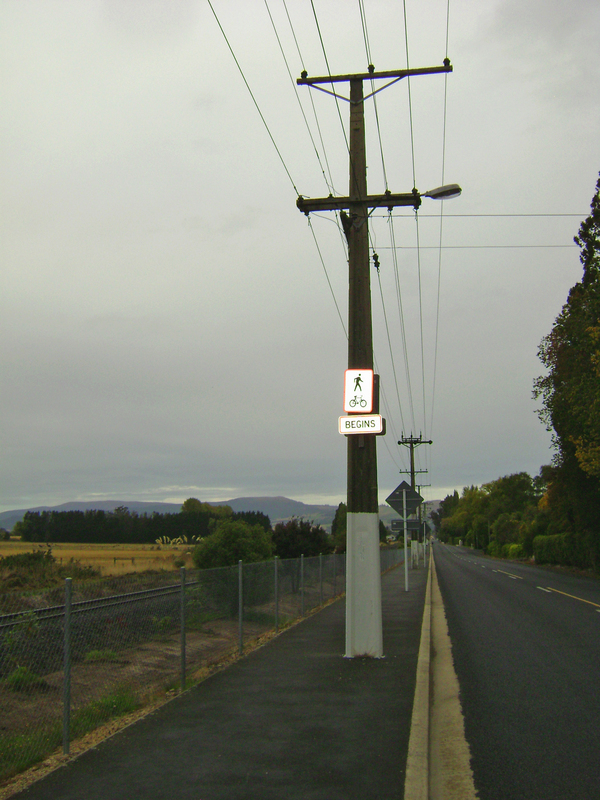 This would have made it much safer for the school children of East Taieri, as they wouldn’t have had to cross the road twice as they do now to get to school. 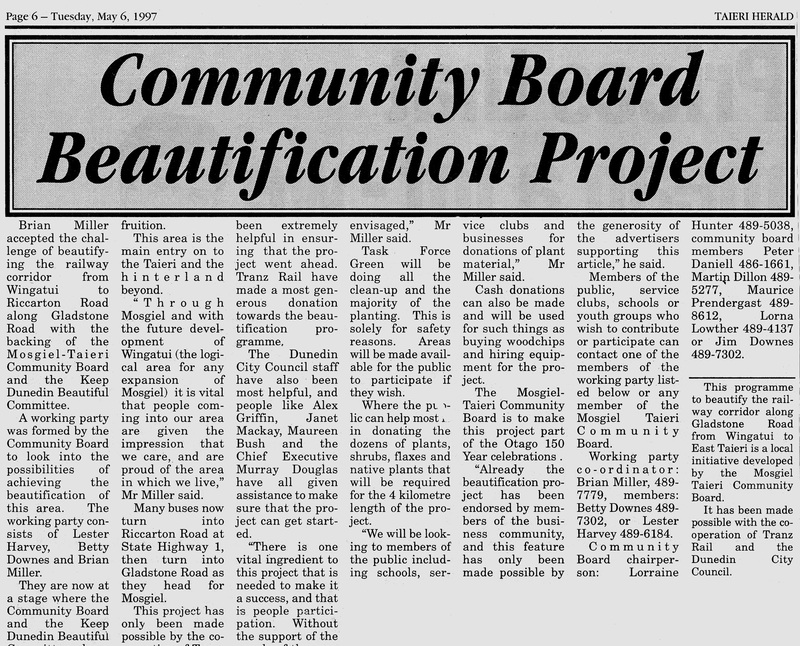 The Community Board made this project part of the Otago 150 years’ celebrations. There has been a Fonterra Environmental award, The Queens Service Medal award, and Keep Dunedin Beautiful Awards for this project, but it appears that hasn’t stopped the vandalism. █ What if? 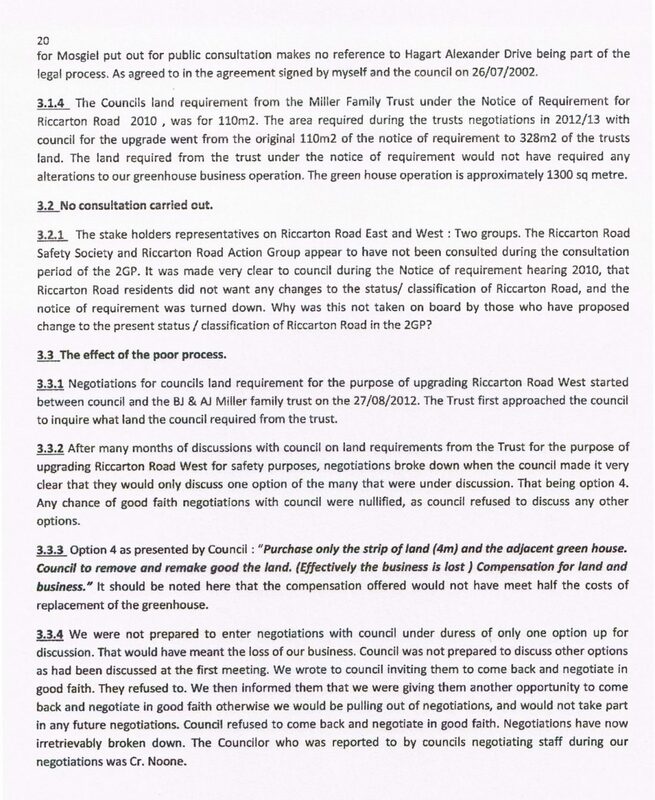 Dunedin notes this has happened on Cr Kate Wilson’s watch (Cr Wilson has been appointed to Mosgiel-Taieri Community Board as the DCC representative). 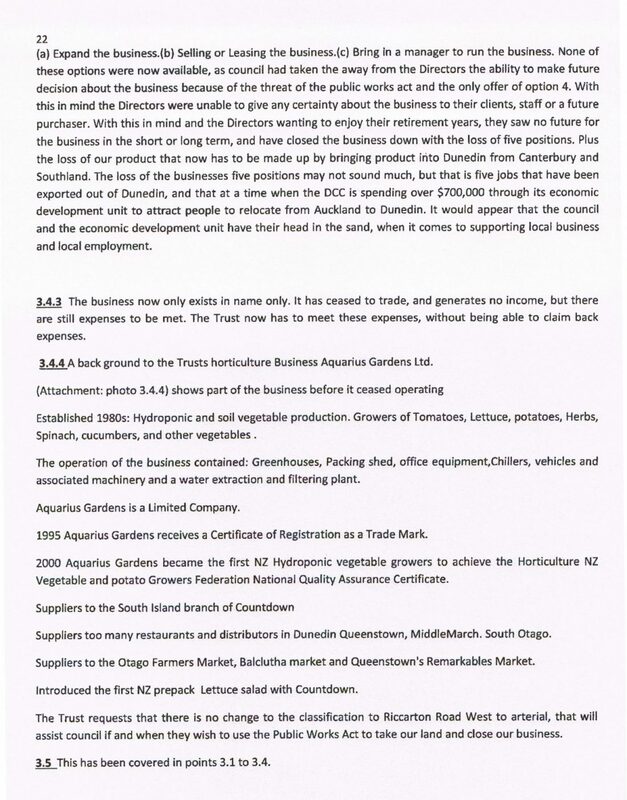 It seems incumbent on DCC and ORC to seek a compensatory amount from KiwiRail for instatement of a new Community Project in the immediate area taking into account the devastating loss of the local community’s green amenity, historical investment of effort to establish the plantings in a difficult location, and the years of plant growth and cover destroyed. Clearly, a distress and a humiliation. Sat, 21 Mar 2015 at 6:15 p.m. Message: The Vandals are on the way. 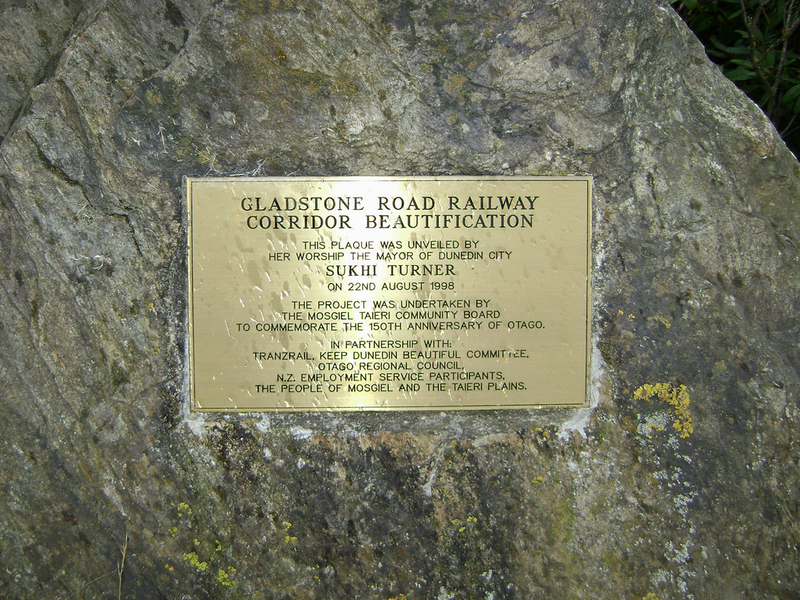 1) The metal plaque confirming that the Railway corridor project was a ‘150 year’ project. 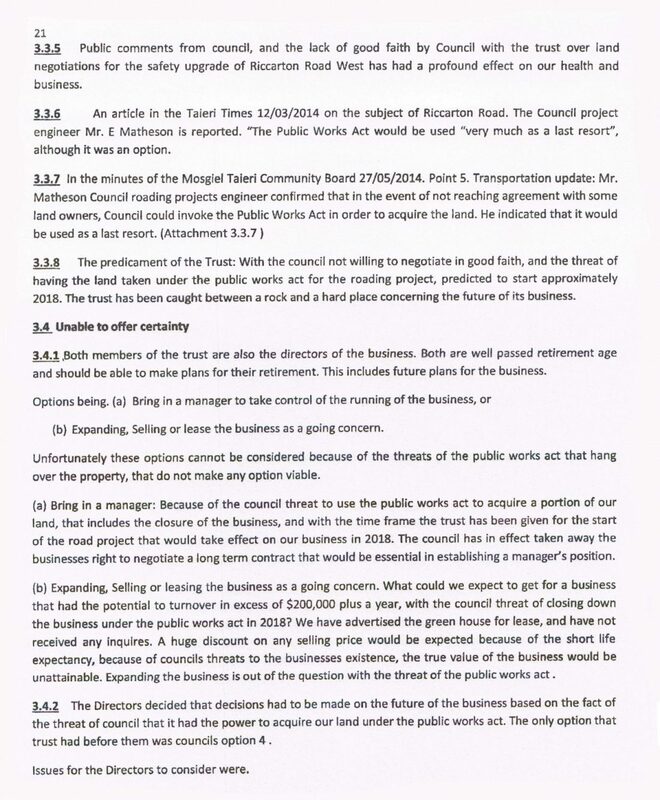 3) ALL the shrubs and trees for removal at Mosgiel’s Memorial Park on the proposed site of the new pool complex —described in the Taieri Community Facilities Trust’s (the pool trust) documents as “minimal site impact”, located to “minimize the removal of existing vegetation”.